Montreal is about to get a new English language theatre company and the ties that bind its founders and their track record should result in some powerful stage presentations as early as this summer. 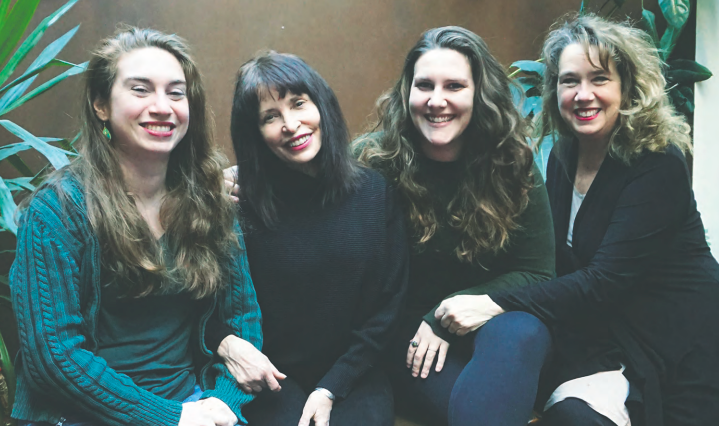 Anne Lambert, Laura Mitchell, Alice Abracen, and Danielle Szydlowski have been involved in theatre for years as playwrights, actors, directors, and stage managers, separately and together. The totality of their experience, energy, and achievements in theatre is huge. As Lambert – an established playwright, Dawson College English teacher, sparkplug of its annual student production, and debut novelist – said, the group, including her daughter, Alice, had in mind a different kind of company when they launched Theatre Ouest End. What will give this company a unique profile is their concerted effort to tell original stories that emerge from community contacts. For starters, the group will work out of an office at the Westmount Park United Church, where Lambert, Abracen, their family and friends for more than ten years have held annual variety shows to raise funds for the Theresa Foundation. This organization continues the work started by Lambert’s late mother, Thérèse Bourque, to support grandmothers raising orphaned grandchildren in Malawi. A senior group, Contactivity, which meets at the church will be a source for potential stories. All four founders were scheduled to participate in a weekend writing workshop to develop strategies to encourage people to tell their stories. 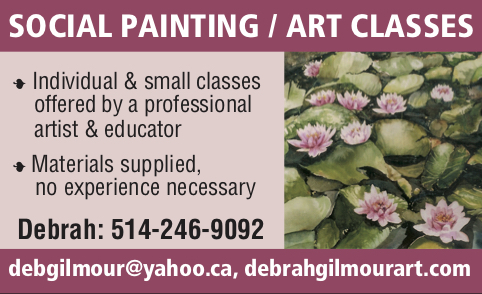 “We intend to call on seniors to join us this spring for a story-telling workshop and hopefully to stage the outcomes of that session,” Lambert said. Mitchell, an accomplished actor, is eager to put out the word: “We want to help seniors – people our age – to tell stories, first to those who are used to telling their stories, but eventually to reach out to more marginalized groups. Among future projects, is the idea of working with Dans la rue, which offers food, clothing, and other help to young street people, to build a narrative around their stories. For financing, the group will be applying for charitable status so it can issue tax receipts for donations. Lambert said the group hopes to hold a fundraiser that will help finance the production of the play Omission in the fall. Written by Alice Abracen, the play asks whether forgiveness and redemption are possible. On the eve of a papal enclave, a young Canadian journalist interviews an ambitious, popular Latin American Cardinal about his past during a time under military rule. Abracen is a graduate of Harvard University and the National Theatre School. Omission was originally developed as her senior creative thesis at Harvard. It was recently featured at Alumnae Theatre in Toronto, the oldest women’s theatre in Canada, and the Women’s playwright International Conference in Santiago, Chile. If all goes well, it will be produced in the church sanctuary, Mitchell may be cast in the lead, possibly directed by Lambert, with Szydlowski, another National Theatre School graduate, using her expertise in stage management and technical direction. Mitchell and Lambert teach English at Dawson College, while Abracen and Szydlowski work in the casting department at Ubisoft. Besides major productions, Lambert says the plans are to turn the company into a testing ground for pieces that writers, established and new, wish to try out on an audience. Members of the theatrical community gathered on International Women’s Day at the church March 8 for the launch of Theatre Ouest End. For now, the troupe members are financing operations, but as Lambert observed, “Once we get a few shows under our belt we should be in position to apply for grants. 1 Comment on "Theatre Ouest End opens its doors to community stories"
What an exciting, imaginative initiative! Good luck with your mighty endeavor.